Won the 1992 EuroLeague with BC Partizan Belgrade…won the 1994 EuroLeague with Joventut Badalona…won the 1995 EuroLeague with Real Madrid CF…won the 2000, 2002, 2007, 2009 and 2011 EuroLeague with Panathinaikos Athens…won the 2017 EuroLeague with Fenerbahce Istanbul…won the 1991-92 Yugoslav National Championship with BC Partizan Belgrade…won the 1992 Yugoslav National Cup with BC Partizan Belgrade...won the 1997 Saporta Cup with Real Madrid CF…won the 1999 Saporta Cup with Benetton Basket Treviso…won the 1999-00, 2000-01, 2002-03, 2003-04, 2004-05, 2005-06, 2006-07, 2007-08, 2008-09, 2009-10 and 2010-11 Greek National Championship with Panathinaikos Athens…won the 2013-14, 2015-16, 2016-17 and 2017-18 Turkish National Championship with Fenerbahce Istanbul…won the 2003, 2005, 2006, 2007, 2008, 2009 and 2012 Greek National Cup with Panathinaikos Athens…won the 2016 and 2019 Turkish National Cup with Fenerbahce Istanbul…won the 2013 and 2016 Turkish President Cup with Fenerbahce Ulker Istanbul…won the silver medal at the 1996 Olympic Games…won the gold medal at the 1997 European Championship…won the gold medal at the 1998 World Championship…won the bronze medal at the 1999 European Championship. 2007, 2011 and 2017 Euroleague Basketball Alexander Gomelskiy Coach of the Year...named the 1994 and 1995 Best European Coach by FIBA Magazine…named the 1995 Yugoslav Coach of the Year. 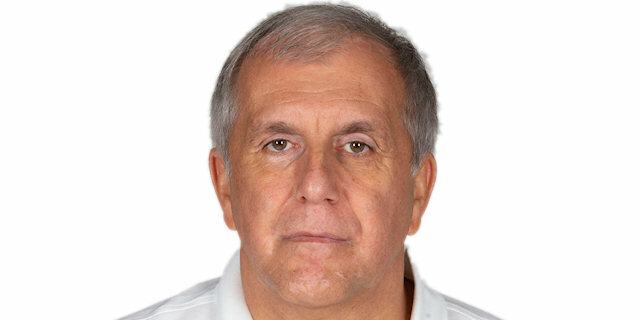 Assistant Coach Yugoslav National Team (1995)…Head Coach Yugoslav National Team (1996-00, 2004).